The Electrospinning Company has appointed Dr Stewart White as non-executive chairman. Previously CEO of two life science AIM-quoted companies including Collagen Solutions plc, Stewart is currently CEO of Novel Technologies Holdings Limited and Chairman of Mikota Ltd. Stewart has international executive experience in commercialisation, product development, GMP manufacturing of medical devices, advanced biologics and API’s in both SMEs and global pharmaceuticals. With specific experience in the use of biomaterials within medical devices and regenerative medicine, Stewart brings recent and direct knowledge of operating in companies which require to balance revenue generation with Intellectual Property development to underpin future growth and value accretion. A Visiting Professor at the University of Glasgow in Technology Entrepreneurship, Stewart is a graduate of the University of Strathclyde and holds a First Class degree in Applied Microbiology, a Ph.D. in Fermentation Technology and Bioprocessing, and, an MBA. 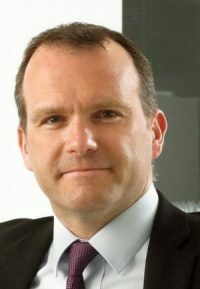 Stewart has been a non-executive director of The Electrospinning Company since August 2017 and assumes the chair position from Drummond Paris. Drummond will remain a non-executive director.